A Corpus Christi Police Department officer was fired after she was arrested for DWI over the weekend. 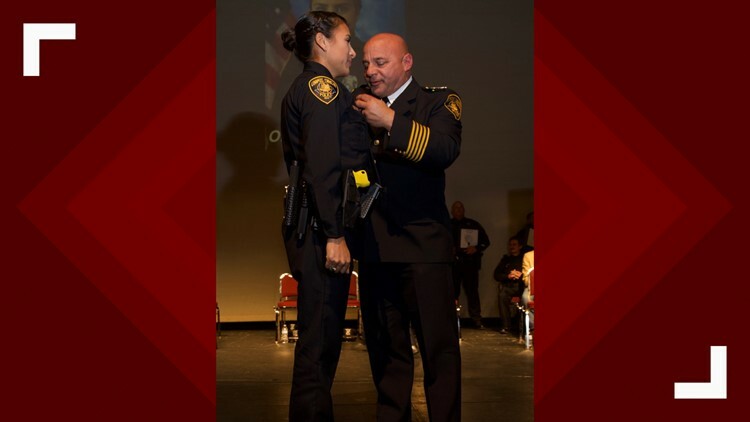 CORPUS CHRISTI, Texas — 32-year-old Elise Tamez, an officer with the Corpus Christi Police Department, was arrested for DWI around 8 p.m. Sunday after a minor car accident on private property on Carroll Lane and SPID. Police said Tamez, a probationary officer, was off duty at the time of her arrest. She was a recent graduate and had only recently joined the force. Corpus Christi Police Department Officer Elise Tamez was fired Monday after she was arrested for DWI while off-duty over the weekend. Tamez was booked into the Nueces County Jail on a DWI charge and on Monday morning she was fired by the police department.